The first thing we do when studying public policy is to try to define it – as, for example, the sum total of government action, from signals of intent to the final outcomes. We then conclude that there is no single, satisfying, definition of public policy. Instead, there are many which accentuate different aspects of the policy process, prompting you to consider the additional questions you have to ask to make sense of policy. Why do we ask more questions? Does ‘government action’ include what policymakers say they will do as well as what they actually do? Many governments have made a commitment to tobacco control, but there is immense variation in substantive commitment across the globe. Since initial commitment is not a great guide to what happens next, you miss a lot if you equate policy with initial choices. Does it include the effects of a decision as well as the decision itself? The history of tobacco control suggests that policymakers were not sure of the effect of their policy instruments. We study outcomes because they may not resemble the initial policy aims (however committed a government is). What is ‘the government’ and does it include elected and unelected policymakers? Some actors work with elected policymakers to make policy, and others make key decisions as they carry policy out. So, we miss a lot if we ignore the role of unelected actors. Does public policy include what policymakers do not do? 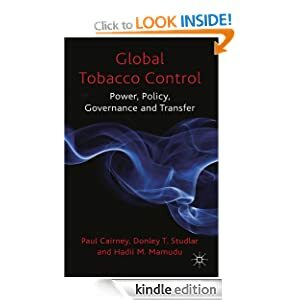 Tobacco control demonstrates the importance of power exercised to keep important issues off the public, media and government agenda to slow down policy change. We miss a lot if we only focus on relatively visible choices. Why does our definition matter so much? Our definition helps turn too much information into the most important data. A focus on policy choices gives you a different answer than a focus on outcomes. You will also struggle to show that policies caused outcomes (it is easier to demonstrate that a ban on smoking in public places caused people stop smoking indoors than altogether). Your choice of measures will influence your conclusions. Also note how normative policy research has to be: you evaluate policy change partly by assessing how much you think it should have changed under the circumstances. Why does the question matter so much? It matters because, until you study policy in depth, you may equate it with the pronouncements of elected policymakers. You might assume they are the only people that matter, or that they can achieve the things they promise. 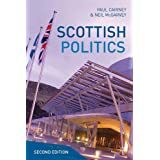 Instead, we use policy theories to highlight policymaking complexity, the diffusion of power, the involvement of many actors, and the limits to central government control. We can only hold policymakers to account in a meaningful way if we know who they are and what they are truly capable of. Take home message for students: don’t just write about how hard it is to define policy. Instead, show what definition you are using, explain why, and show awareness that other definitions are available. Similarly, when you get into policymaking, don’t just say that it is complicated. Tell people how best to understand it: on what should you focus (and, at least implicitly, what can you afford to ignore)? This will make your empirical work so much better. https://t.co/CsKugQw7ND. 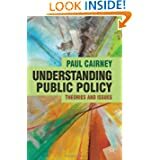 @CairneyPaul on how policy is made and what policy is. Important subjects to discuss since every one thinks policy is what you wish for.